When I heard that Imperial Leather had released some sweet inspired shower gels I made it my mission to track them down. One of my summer shower staples has to be Dirty from Lush. So when I saw that there was a mint version amongst the other traditionally sweet scents, I did wonder how it would compare. I don't generally like writing bad reviews but I honestly don't like this. The scent is straight up spearmint, there's no doubt about that. 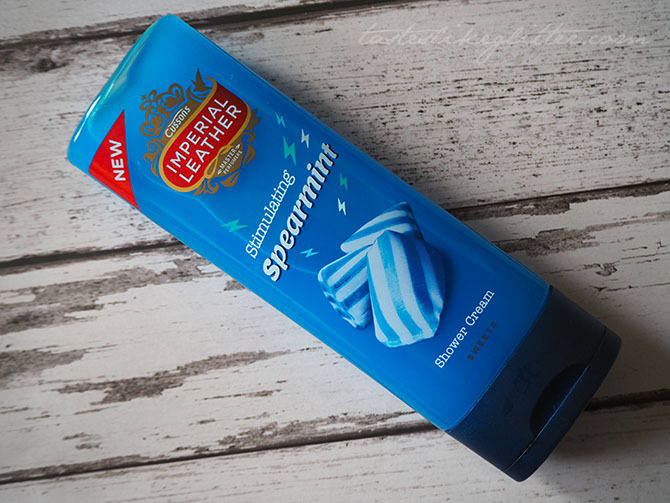 Unlike Dirty which contains both spearmint and menthol along with sea salt and thyme to give it a slight edge. This smells just like toothpaste, there's no other way to describe it. I find the formula is a little on the thin side so it doesn't lather up very well. It's a very awakening scent but it really is just plain mint, it's as if there's something missing. But if you're looking for a fresh, minty scent without anything added then you'll probably like this. A short and sweet review today but just wanted to put forward my opinion.